3.F-60这个界面里我应该设置些什么东西呢? 另外,我在系统中怎么才能看到每个公司代码下包含哪些PLANT,或者说某一个PLANT归属于哪一个公司代码? 你说OMSY不能修改别的公司代码，我估计你在这个公司下已经做过交易了。因为OMSY是初始化的时候用的，而MMPV是逐个月开物料账的。F-60这个界面的数字是说明会计账的有效期限。想知道每个公司代码下面有什么工厂，可以用ox18来看 三个代码我都试过了，已经可以进行2005年的操作了，谢谢！不过又出了个新问题，自己研究了研究，还是看不懂，只好再传上来请教你了！做MB1C时，错误画面如下：点击错误信息提示如下，按其操作，但看不懂！For object RF_BELEG 1000, number range interval 49 does not existMessage no. NR 751DiagnosisThe database table NRIV has the delivery class 'C', i.e. the SAP default settings are only in client 000.ProcedureCreate the missing number range interval in customizing.Transaction code: FBN1 FBN1这个代码主要是什么功能？ 搞定,在FBN1中添加一条记录就可以了! db2 => connect to db2 => select * from sap.usr02 where bname='SAP*' and mandt='000'1 record(s) selected. db2 => delete from sap.usr02 where bname='SAP*' and mandt='000'DB20000I The SQL command completed successfully.db2 => commitDB20000I The SQL command completed successfully. when SE16, find one table data, it shows 'Table **** is not active in the Dictionary' error, what's this meaning? 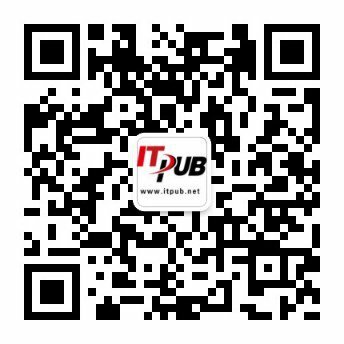 答：回复: 用RZ10修改instance profile(extended maitainance), 可以找到缺省client, 之后重起服务器. 答：以T-CODE：RZ10 进入EDIT PROFILE 1.profile：选择instance profile 2.edit profile：选择EXTEND MAINTENANCE 3.选择change 4.新增parameter name：login/system_client且parameter value：800 5.存档 6.restart sap r/3 答：用TCODE RZ10,edit instance profile,then edit the parameter login/system_clinet = 800 ,restart instance, that ok!